Complete guide to explore Gokarna in low budget by public transport. 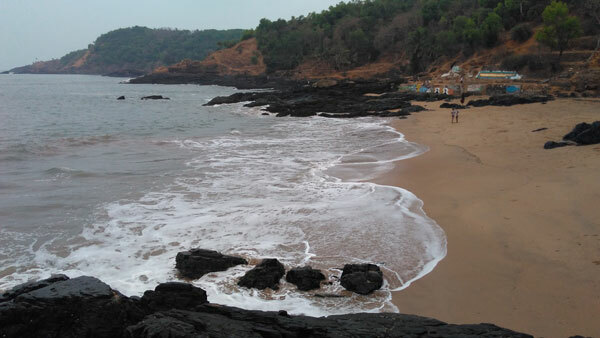 Gokarna is a small village in Kumta taluka in Karnataka, its a perfect gateway if you are looking for less crowded place but still want the essence of being in Goa. The public transport here is excellent and a good option for backpacker traveler’s like us. 1.I started from Mumbai, boarding 12133 Mangalore Express to Kumta at 22:00 hrs on 13th April 2017 and reached Kumta by 10:00 next day. Boarded a State transport bus to Gokarna which takes around 45 minutes to reach. Ganpati temple at Gokarna main market. A hike from Kudle beach to Paradise beach. Which covers Kudle beach, Om beach, Half moon beach and last Paradise Beach. I had carried my tent with me so I camped on the Paradise beach. You can avail budget rooms available near the beach for Rs. 300 – Rs.500. Zostel is also a good option. You can have food from the shacks near the beaches or can just head to the Gokarna village to have a whole meal in just Rs. 60. 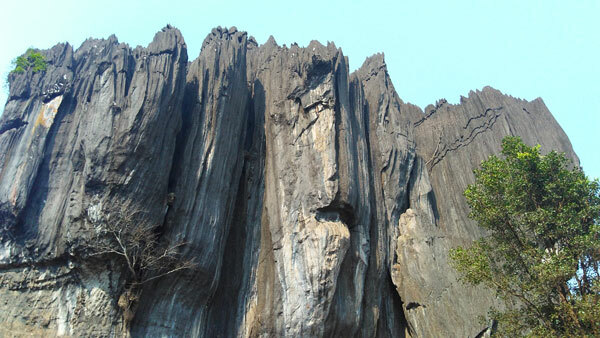 Yana is a village in forest area of Kumta, which is known for its solid black, cystalline karst limestone rock formation. Yana is famous for two huge rock outcrops called as the Bhairaveshwara Shikhara and the Mohini Shikhara (“Shikhara” means “hill”). Bhairaveshwara Shikhara is 120 metres (390 ft) in height, while the Mohini Shikhara stands smaller at 90 metres (300 ft) in height. 2.Kumta to Yana caves (public transport : starts at 12:30 pm) If you get this bus then only visit Yana caves which means you can plan your return in the bus which starts at 05:30 pm bus. Once you reach Yana caves you need to trail to the caves from the bus drop point and will reach in 45 minutes adding 30 minutes for exploring activity. You can then board a return bus to Kumta at 05:30 pm. Yana Caves to Murudeshwar (To see huge lord shiva’s statue) by Public Transport. Murudeshwar is a town in Bhatkal Taluka, it is another name of Hindu God Shiva. 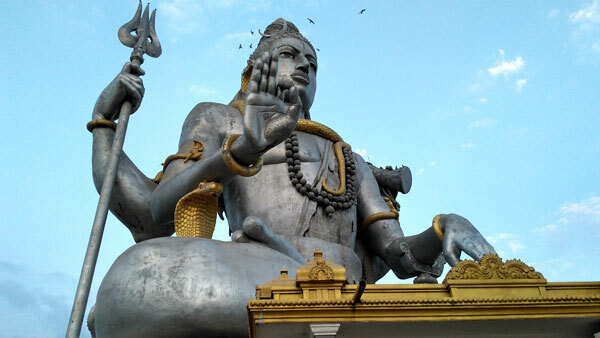 The world’s second tallest Shiva statue, is 123 feet tall and took about two years to complete. It is designed in such a way that it gets the direct sunlight, making the magnificent idol shine. Once I reached Murudeshwar I had my dinner and then camped on the Murudeshwar beach, which is pretty safe as most of the people stay on the beach. Early morning I visited the temple and clicked some pics of Lord Shiva. My train was at 16:50 hrs from Bhatkal but I reached much before the arrival time which was 8:00 in the morning so I had a good 8 hours to explore Bhatkal. 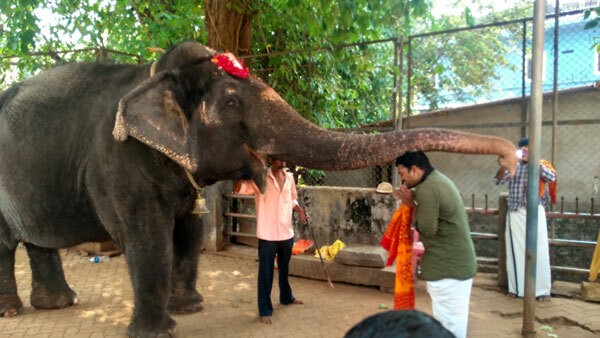 I enquired with some local people and discovered that I can visit the famous Sri Mookambika temple in Kollur. Sri Mookambika temple is in Kollur, Udupi District. It is a Hindu temple dedicated to mother Durga Devi or Saraswati known as Mookambika Devi. Mookambika is a Shakthi Devi, the supreme mother Goddess in Hinduism. While returning to Bhatkal you won’t find a public transport so better opt for Private sharing bus. Bhatkal to Mumbai on 16th, April 2017. To Sum all the expense from Mumbai – Kumta – Gokarna – Yana Caves – Murudeshwar – Kollur – Bhatkal – Mumbai. Day 1 = 14th April. Mumbai to Kumta (Indian Railway) = Rs. 255. Kumta to Gokarna (State bus transport) = Rs. 33. Food (A whole meal – Lunch ) = Rs. 80. Accommodation at paradise beach in my tent = Free. Gokarna to Kumta (State bus transport) = Rs. 33. Food (A whole meal at Kumta bus stand) = Rs. 50. Kumta to Yana Caves (State bus transport) = Rs. 28. Coconut water 3 quantity = Rs. 75. Yana Caves to Kumta (State bus transport) = Rs. 28. Kumta to Murudeshwar (State bus transport) = Rs. 55. Food (A whole meal – Dinner) = Rs. 60. Accommodation at Murudeshwar beach in my tent = Free. Murudeshwar to Bhatkal (State bus transport – 7 am dept) = Rs. 20. Breakfast at Bhatkal (Puri Bhaji and Masala Dosa) = Rs. 45. Bhatkal to Kollur (State bus transport – 8:30 am dept ) = Rs. 44. Food (Lunch in Temple) = Free. Kollur to Byndur (Private bus transport ) = Rs. 30. Byndur to Bhatkal (Private bus transport) = Rs. 25. Bhatkal to CST(Mumbai) (Indian Railway ) = Rs. 490. The total expense of my tour was only Rs. 1551. So here you go, a complete guide of a tour done in a true backpacker’s style with an unbelievable budget of just Rs. 1551 to the Karnataka’s coastal region. If you have any queries , please feel free to contact me. I am just like you – A traveler seeking thrill by discovering new places & amazing adventures!. , thanks very helpful one keep sharing…. 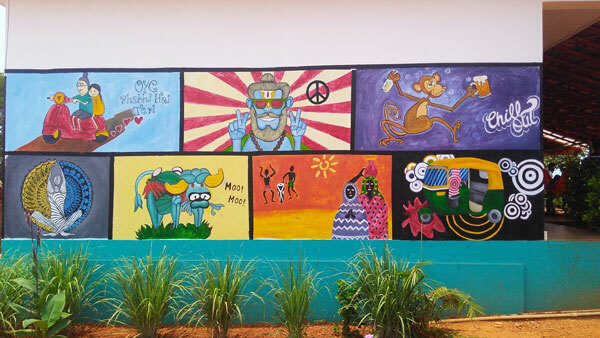 You know any good hotel in gokarna, i want to stay with my family,.. There are many hotels on the kudle beach, you can easily search for them online. If i have to say specific hotel you can opt for room in Zostel. I wanted to ask how safe it is to camp on the beach in Konkan in general and specifically in Gokarna. Do cops or locals disturb you in the night? Thanks. Its safe until you don’t do anything illeagal there. This been really helpful. Thank you. This has been really helpful. Thank you.